Newly expanded, the Eclipse Series features Iwata quality, maximum versatility, and great value. 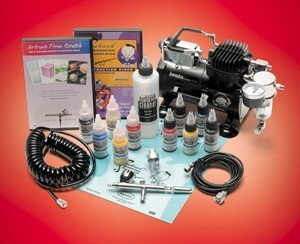 These multi-purpose, high paint flow - high detail airbrushes cover a wide range of uses. Commonly used to spray premixed or heavier paints, the Eclipse series is well-suited for uses demanding precise control of spray when applying moderate to large amounts of paint to a variety of surfaces and to various-sized areas. Click here to download the Eclipse parts guide in pdf format. 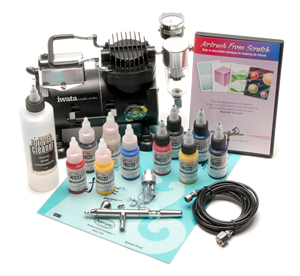 The bottom feed Eclipse airbrush with its 0.5 mm needle and nozzle combination, continues to be a favorite among artists looking for high performing, general purpose, high paint flow airbrushes. 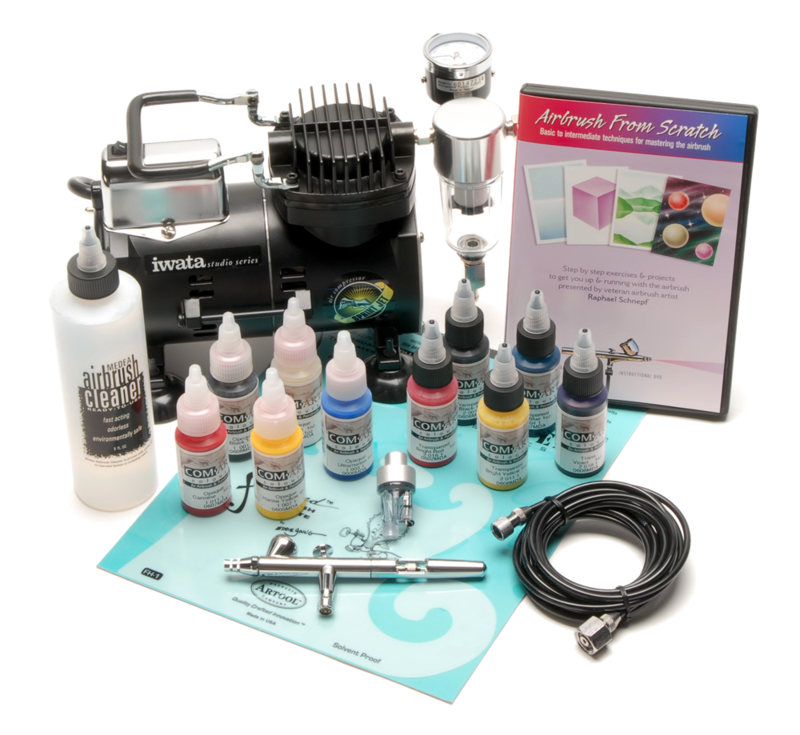 The Eclipse's versatility, reliability and performance continue to make it a very popular airbrush. Click here to download the Eclipse G6 parts guide in pdf format. 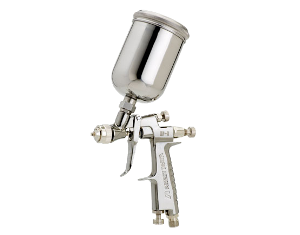 This gravity feed Eclipse features a unique 0.35 mm needle and nozzle combination for fine detail spraying but with high paint flow capacity. It's generous 1/3 oz. sized cup is designed with a new funnel shape which makes for easy clean-up and more efficient paint flow. Fine artists and students alike will appreciate how well the Eclipse C sprays heavier acrylics while maintaining high detail spray characteristics. Unique “Pistol Grip” airbrush-guns, the Eclipse G-Series look like miniature spray guns, but spray and perform like a large airbrush. The G-Series Airbrush Guns work with most twin-piston airbrush compressors like the Iwata Studio Series Power Jet Compressors. Works well with the Iwata Studio Series Power Jet and Power Jet Lite Compressors. The drop-in hardened steel nozzles are self-centering for perfect alignment and quick, easy assembly. High-paint flow, coupled with ultimate control through the entire spray range, is Iwata’s trademark with the Eclipse style of airbrushes. Now, with the new interchangeable 0.35-mm high-flow nozzle/needle combination, even finer detail and control can be achieved. Excludes the Eclipse G6. Click here to download the Eclipse G3 parts guide in pdf format. Click here to download the Eclipse G5 parts guide in pdf format. 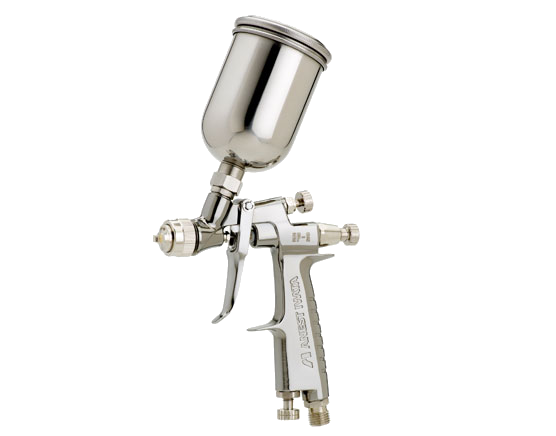 A unique "Pistol Grip" airbrush, the Eclipse G6 airbrush looks like a miniature spray gun, but sprays and performs like a large airbrush with its 0.6-mm stainless-steel nozzle. These versatile airhose adaptors allow conversion of most other manufacturers' airbrush hoses to be used with Iwata airbrushes. This handy little converter set will allow you to use an Iwata airhose with either a Paasche, Thayer & Chandler, Badger or Aztek airbrush.